1.Spiritual Sonship is not necessarily a physical relationship, but a spiritual relationship. 2.There must be a birthing within the heart or spirit of a spiritual Son or Daughter which produces such a relationship in them. (i.e., Vision, Assignment, Revelation). 3.From the heart a member must respect and honor the person you are seeking to be fathered by. A son/daughter should willingly submit and serve by means of responding when called upon to use your ministry gifts. 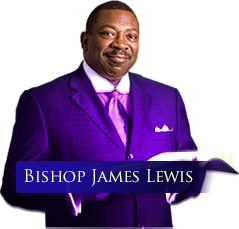 4.A son/daughter must be willing to receive correction in righteousness from Bishop Lewis. 5. A son/daughter must be willing to support HOPE Ministries Fellowship, Inc. physically and financially. 6.Each son/daughter must make public confession of their sonship. according to the policies, procedures and guidelines of the organization. 8.Revelation knowledge will be produced on the inside of members as a result of consistently listening to CD's, DVD's,MP3 messages, reading material that God has permitted Bishop Lewis to produce, and coming to meetings where he speaks. 9.Members are EXPECTED to attend member events.